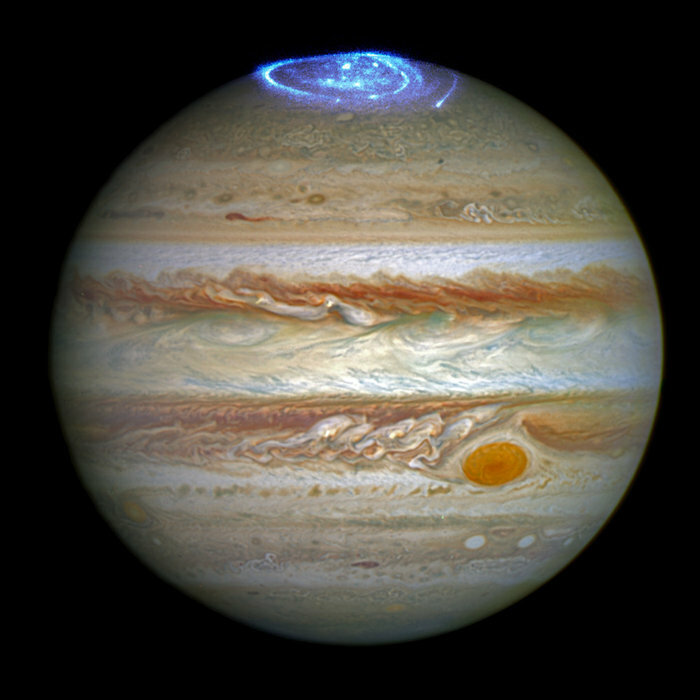 October 30, 2017 – Jupiter’s intense northern and southern lights pulse independently of each other according to new UCL-led research using ESA’s XMM-Newton and NASA’s Chandra X-ray observatories. “We didn’t expect to see Jupiter’s X-ray hot spots pulsing independently as we thought their activity would be coordinated through the planet’s magnetic field. We need to study this further to develop ideas for how Jupiter produces its X-ray aurora and NASA’s Juno mission is really important for this,” explained lead author, William Dunn, UCL Mullard Space Science Laboratory, UK and the Harvard-Smithsonian Center for Astrophysics, USA. “If we can start to connect the X-ray signatures with the physical processes that produce them, then we can use those signatures to understand other bodies across the Universe such as brown dwarfs, exoplanets or maybe even neutron stars. It is a very powerful and important step towards understanding X-rays throughout the Universe and one that we only have while Juno is conducting measurements simultaneously with Chandra and XMM-Newton,” said Dunn. “The behaviour of Jupiter’s X-ray hot spots raises important questions about what processes produce these auroras. We know that a combination of solar wind ions and ions of Oxygen and Sulphur, originally from volcanic explosions from Jupiter’s moon, Io, are involved. However, their relative importance in producing the X-ray emissions is unclear,” explained co-author Dr. Licia Ray, Lancaster University. “What I find particularly captivating in these observations, especially at the time when Juno is making measurements in situ, is the fact that we are able to see both of Jupiter’s poles at once, a rare opportunity that last occurred ten years ago. Comparing the behaviours at the two poles allows us to learn much more of the complex magnetic interactions going on in the planet’s environment,” said co-author Professor Graziella Branduardi-Raymont, UCL Space & Climate Physics.